These .223 Remington rounds from Federal are loaded to match the familiar trajectory of M855 ammunition but without the penetrating core so that shooters can utilize this ammunition at most ranges or with steel targets. 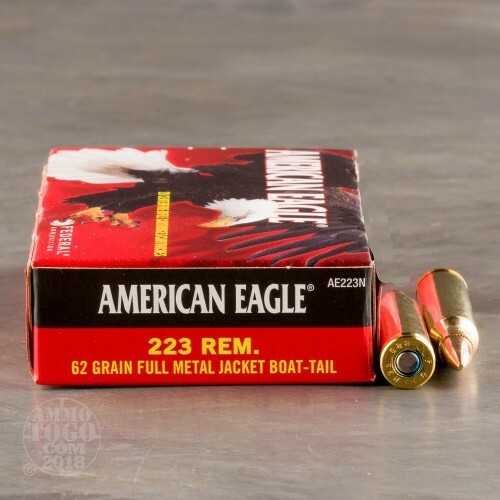 Each cartridge comes loaded with a 62 grain Full Metal Jacket projectile with Boat-Tail base (FMJ-BT) for superior drag resistance and tighter long range groups. Each bullet also features a toothed cannelure at its crimp point which prevents jostling caused by recoil in order to maximize accuracy. 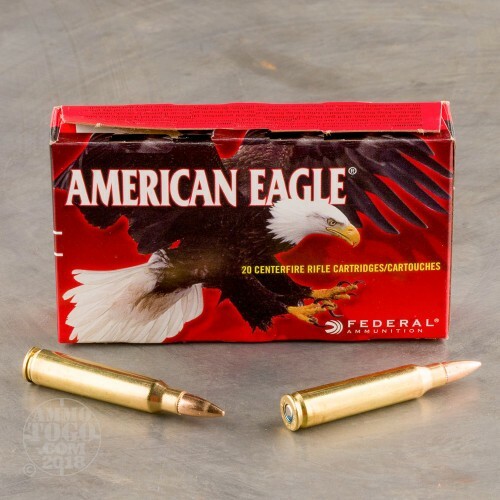 Federal's American Eagle line is intended to provide hobby shooters and competitive enthusiasts with high quality ammunition at a low price point. 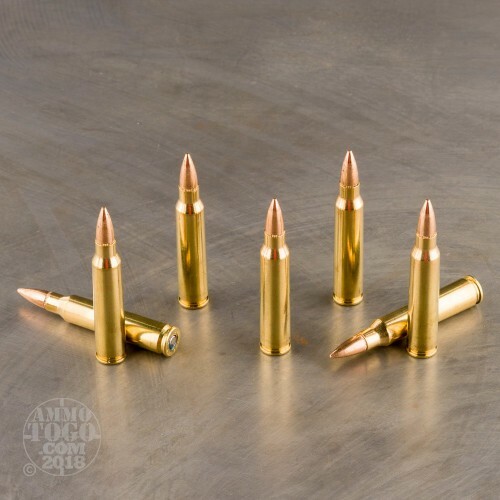 As a result, these rounds come assembled from great components such as reloadable brass casings with moisture-blocking sealant applied around the edges of their non-corrosive primers. 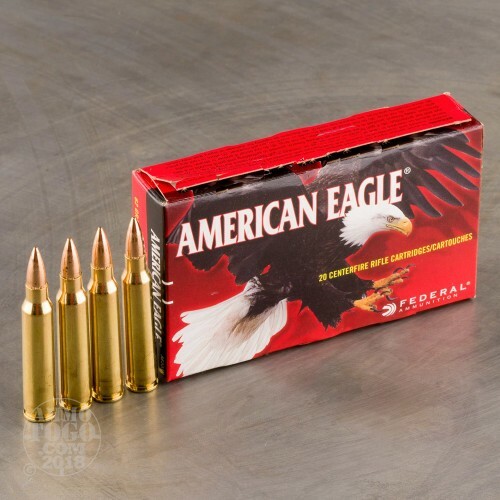 For decades, Federal Premium ammunition has been trusted by hunters, law enforcement officers, and even Olympic Gold Medal winners who seek consistent performance.